In celebration of Mother's Day later this month, I invite you to indulge in a little momlove, a series of guest blog posts by the best of the best. I've invited some of my very favorite blogger moms to share a little bit of their wisdom and experience here. 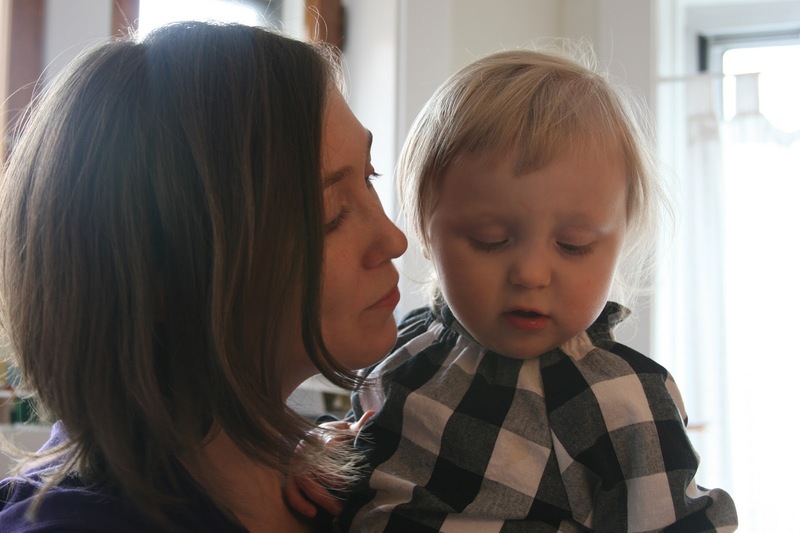 Before I had my daughter, Johanna, I swore to myself that I would not change after we had our baby. I have always been fiercely independent, and it was important to me to maintain my sense of individuality and not to get lost in motherhood. 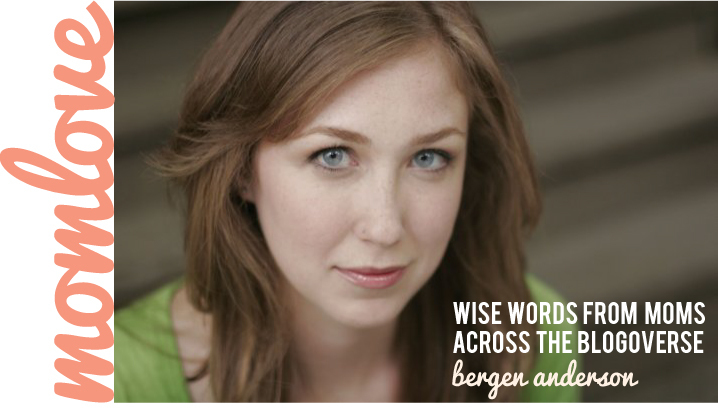 I would not just become Jo’s mama – I would also maintain my identity as Bergen. Jo is 18 months old now and so much in my life has changed. My relationships with others have changed. My social activities have definitely changed. I have changed in many ways. I’ve also stayed the same. It’s like saying everything is different – and nothing is different. Of course, I’m still me. Still fiercely independent. Still deeply creative. Still extremely motivated. But being a mother has unlocked something in me. Having Jo has changed me in so many ways that I never would have expected. And I wouldn’t have it any other way. And all of a sudden as I write this, I’m weeping. My mama has said that Jo did that to me. She says that Jo has softened me. Taken the edge off. Not that I was super hard before Jo, but I definitely had walls up. 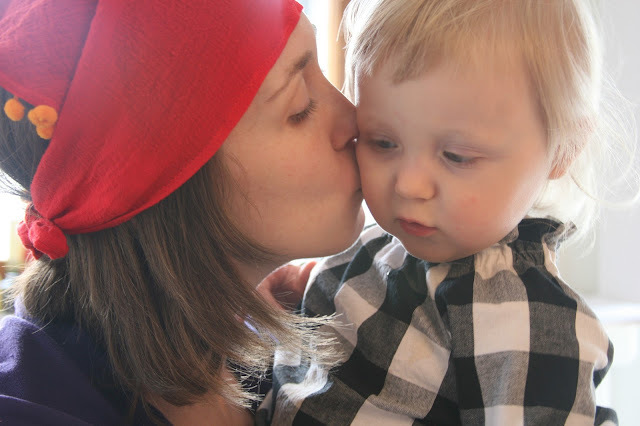 My experiences as a mother have peeled away layers that make my emotions so much closer to the surface. It’s not that I feel more, but I feel everything differently. I’ve also learned to be less judgmental. I have more patience – with myself and with others. Motherhood has opened me up. And I’m going through something right now because of where we’re at as a family that might never have happened had I not become a mother. Something is happening. Something really really good. I cut all my hair off recently, for one thing. Not huge in the scope of life, but a big deal for me since my hair has been long for most of my adult life. It’s been important to me. It was a part of who I was. And now that it’s gone I feel lighter, refreshed, and renewed. It’s as if my energy has shifted just because of that one simple change. On a larger scale, the big news is that I’ve decided to quit my job. I’ve been working a fabulous job as a community manager for the past 4 ½ years, and now I’m ready to move on. I’ll still be working, but I’m going to be putting my energy and time and commitment into my passions: my daughter & family, my theatre company, my acting career, and my Etsy store. It’s a big risk, but one that I feel is the right move for me, and more importantly, my family. And it’s pretty damn exciting. So yeah, I guess I have changed. And I’m still the same. And I couldn’t be more excited to see what opens up next. Bergen and I went to high school together and she was a grade behind me. I didn't know her very well then, but we have sort of found each other in recent years through the loveliness of the internet. These days, I am proud to call her a long-distance friend. She's a creative force, an incredible mother and a true inspiration. And her openness here? That made me a little weepy, too. Read more on Bergen's blog, Ashland and Winona. And while you're at it, you must check out her fantastic Etsy shop, Lilla Barn, where she sews the most adorable baby/toddler clothes you've ever seen.